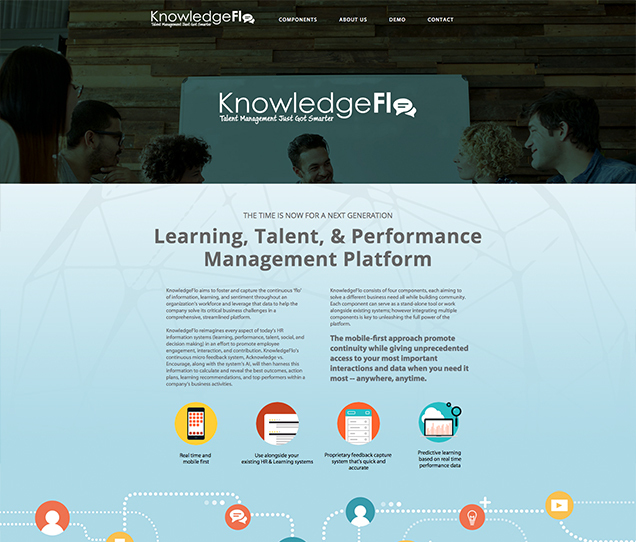 KnowledgeFlo aims to capture the continuous ‘flo’ of information, learning, and sentiment throughout an organization’s workforce and leverage that data to help the company solve its critical business challenges in a comprehensive, streamlined platform. OMTUT is an eLearning platform that contains audio and video educational lessons that are designed to support the academic achievement of students, making it easier for their understanding and comprehension of the various subjects at the various stages of study. 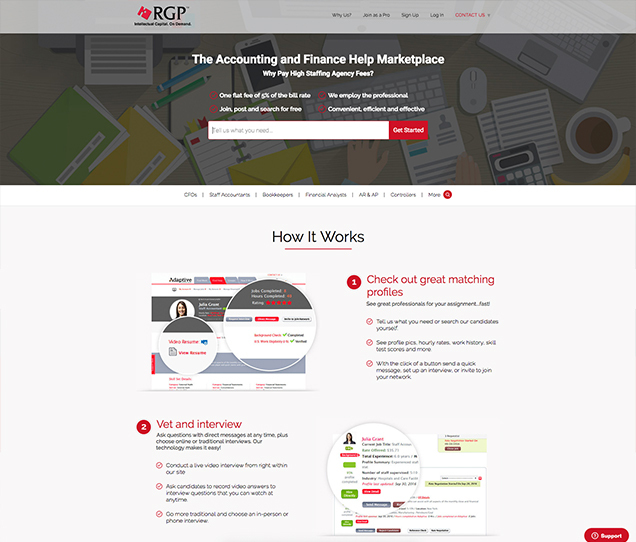 Finance & account staffing marketplace with candidate Interview, background check, payment processing capabilities etc. 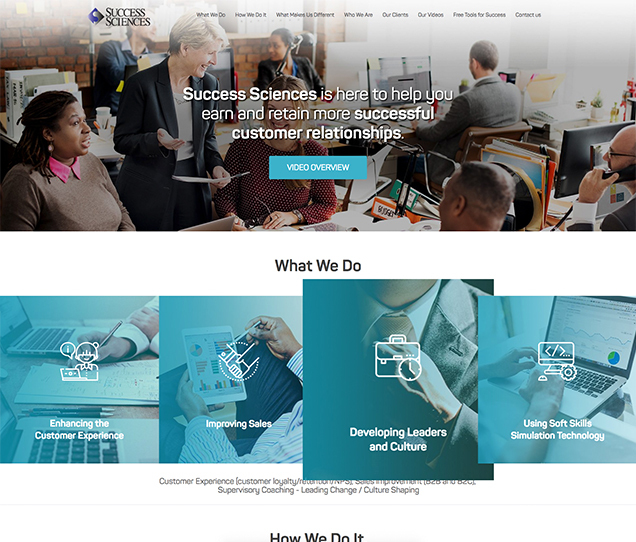 They are recently acquired by RGP group which is a fortune 500 company and we are working on their new website. 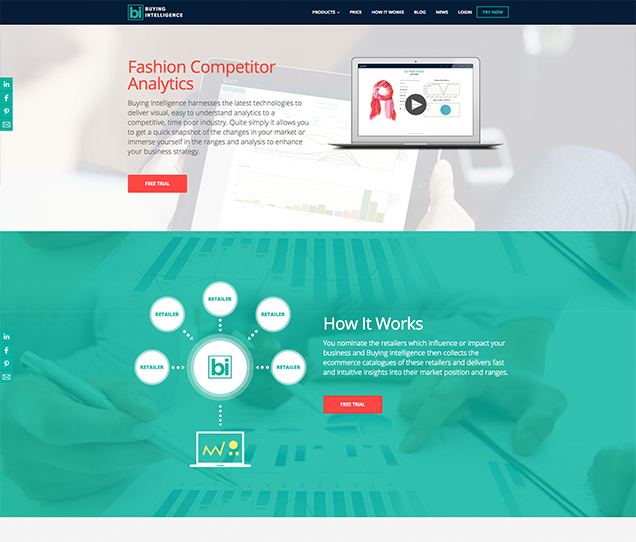 Tool to deliver visual, easy to understand analytics to a competitive, time poor Retail industry. It allows users to get a quick snapshot of the changes in their market or immerse themselves in the ranges and analysis to enhance their business strategy. 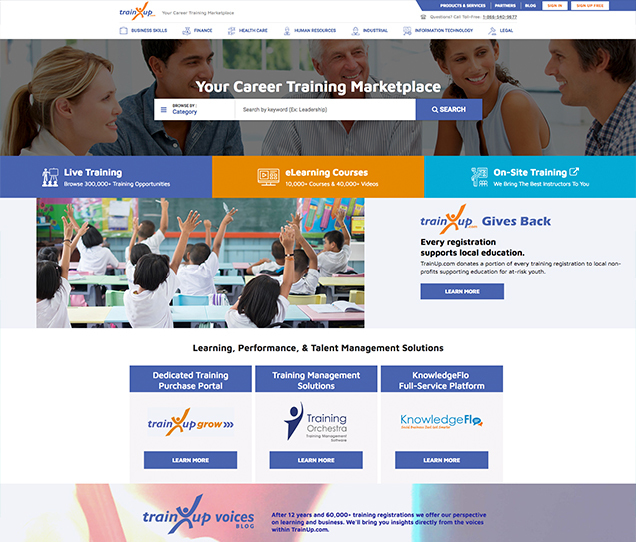 TrainUp.com is the web’s largest training marketplace and has partnered with hundreds of industry-leading providers including New Horizons Computer Learning Centers, Global Knowledge, SkillPath and many more. TrainUp.com’s training network includes more than 300,000 instructor-led training events and 7,000+ online courses. VIP Concierge provides access to the world's most ultra-exclusive events and experiences for Hollywood Award Show Tickets, Movie Premiere Tickets , Celebrity Parties, Red Carpet Events, VIP TV Show tickets etc. 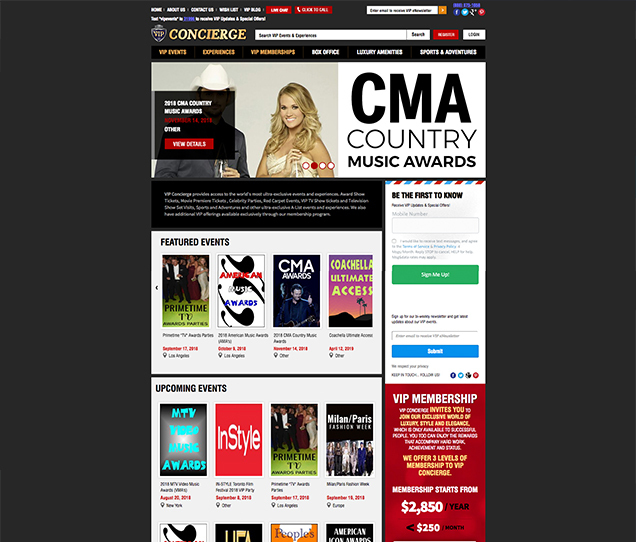 VIP Concierge offers subscription based model for luxury experinces of a celebrity life. 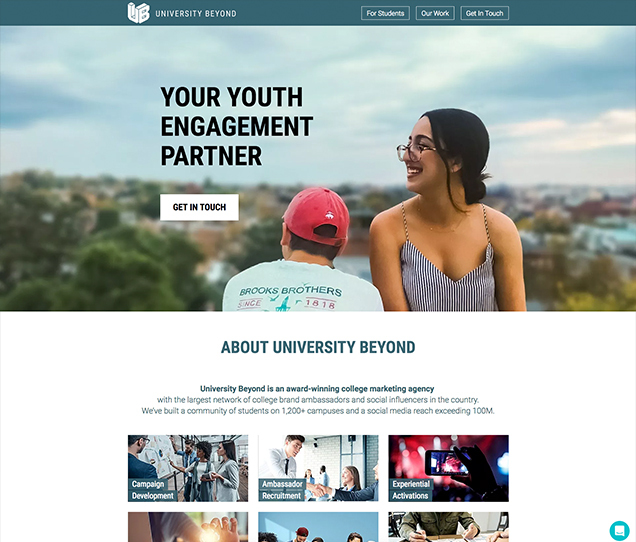 University Beyond is an award-winning college marketing agency with the largest network of college brand ambassadors and social influencers in the country.with built in community of students on 1,200+ campuses and a social media reach exceeding 100M. Homabroad is private social network platform that connects international students, expats and global minded people alike. It helps members to register and connect with fellow expats.